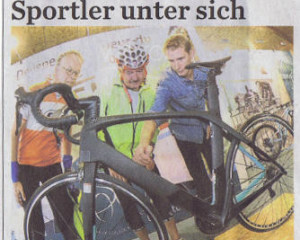 Another edition of the 'bike mechanic workshop' will take place at the youth hostel in Beaufort on the 14th of November. 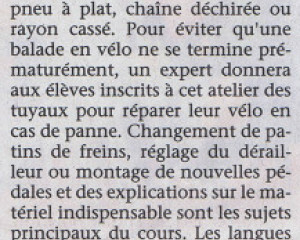 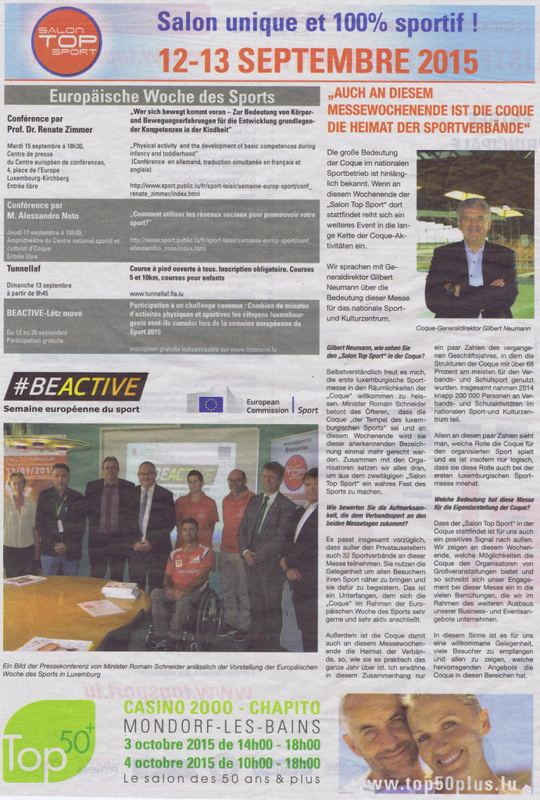 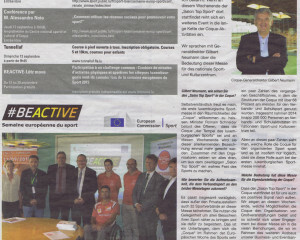 The daily newspaper "Le Quotidien" has published a corresponding article in French. 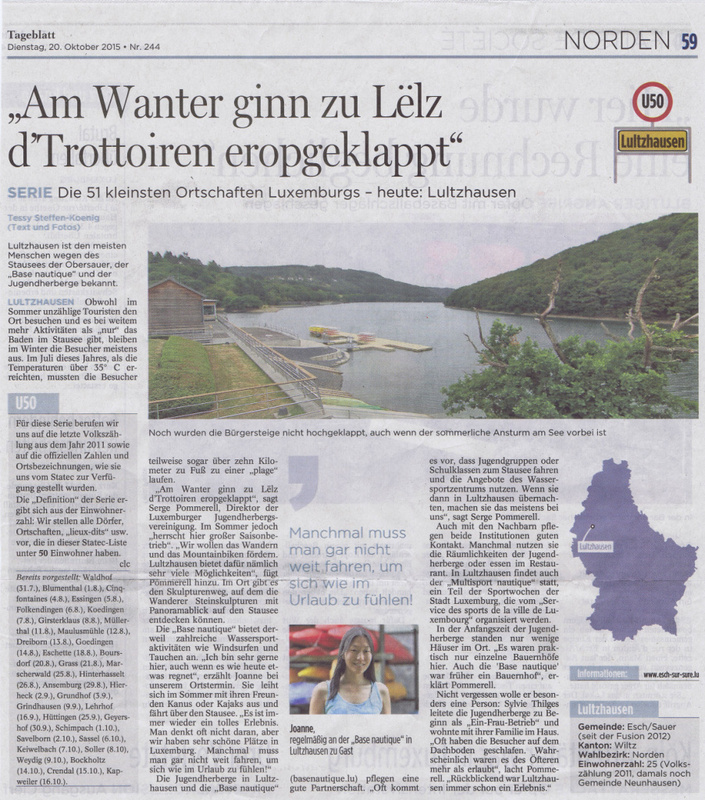 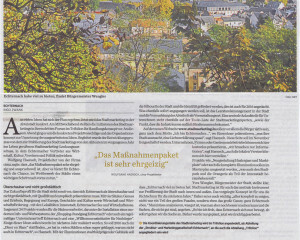 In its series about Luxembourg's smallest villages, the Tageblatt wrote an article about Lultzhausen, famous for its location on the banks of Luxembourg's largest lake as well as being home to one of Luxembourg's youth hostels. 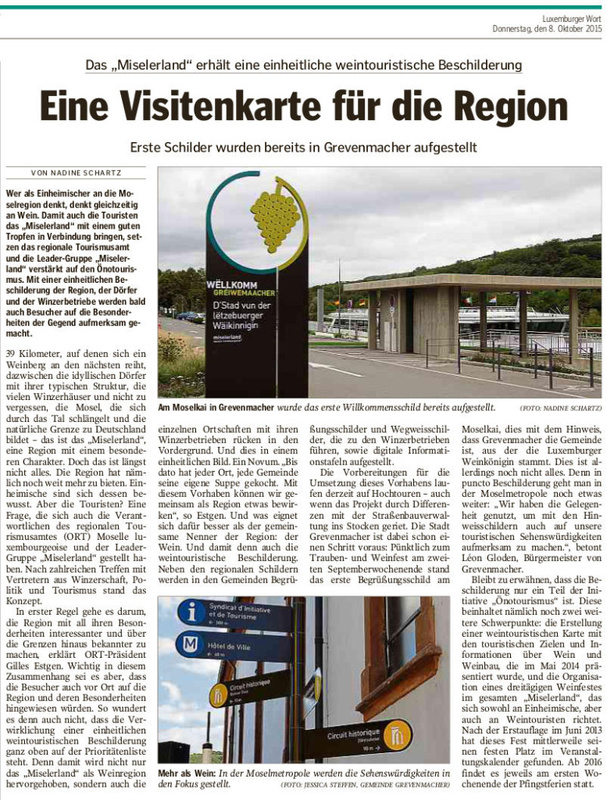 In order to promote enotourism in Luxembourg's Moselle valley region, signposts have been erected to guide tourists through the country's rich wine heritage. 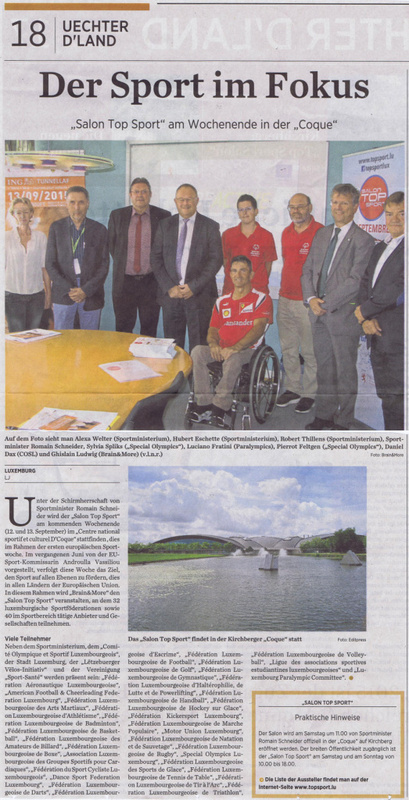 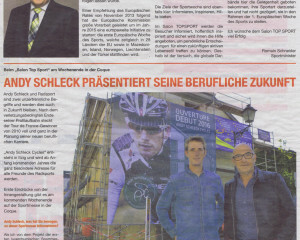 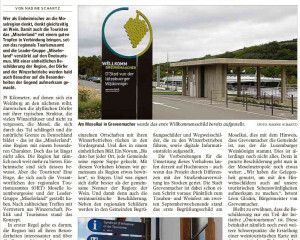 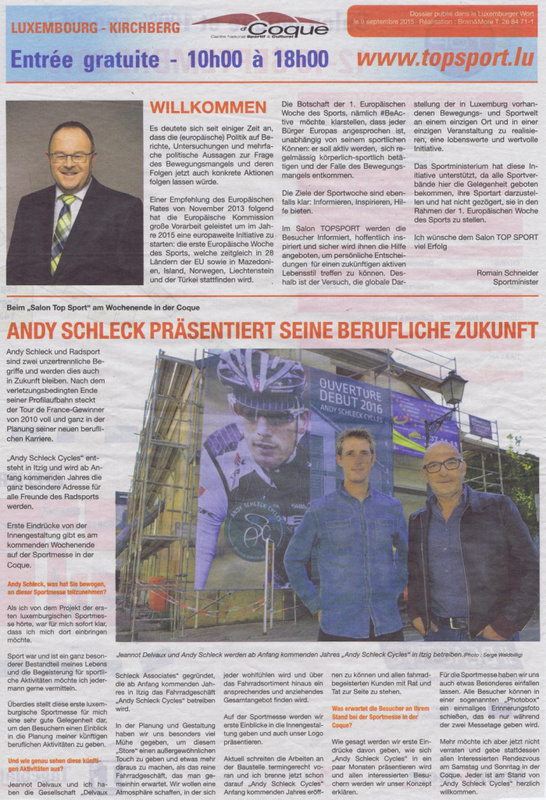 The Luxemburger Wort has published an article on the topic. 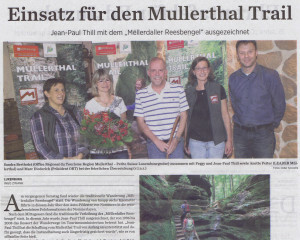 Jean-Paul Thill was awarded the Mëllerdaller Reesbengel for his support and work for the creation and maintanance of the Mullerthal Trail. 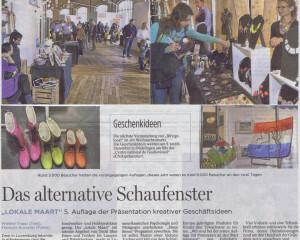 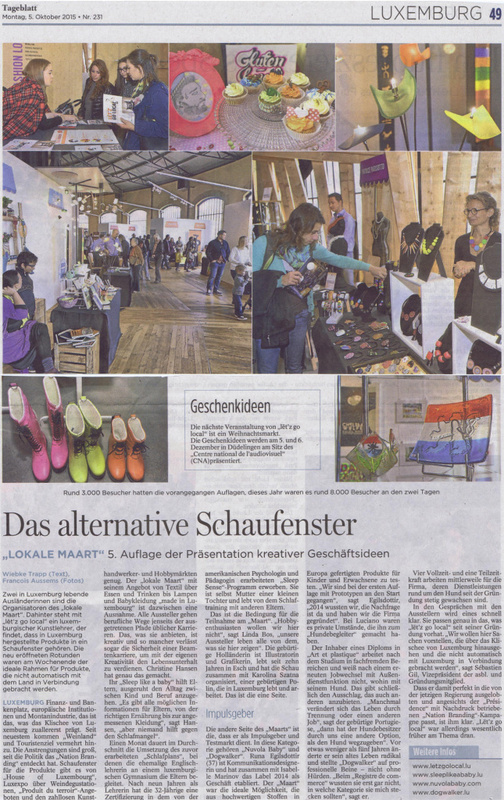 The autumn edition of the local market "Lët'z go local" took place on the weekend of 3rd and 4th of October at the Rotondes in Luxemburg-City. 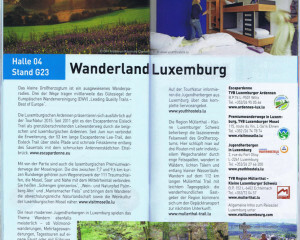 Among others, Luxembourg's youth hostel's were present with their very own booth. 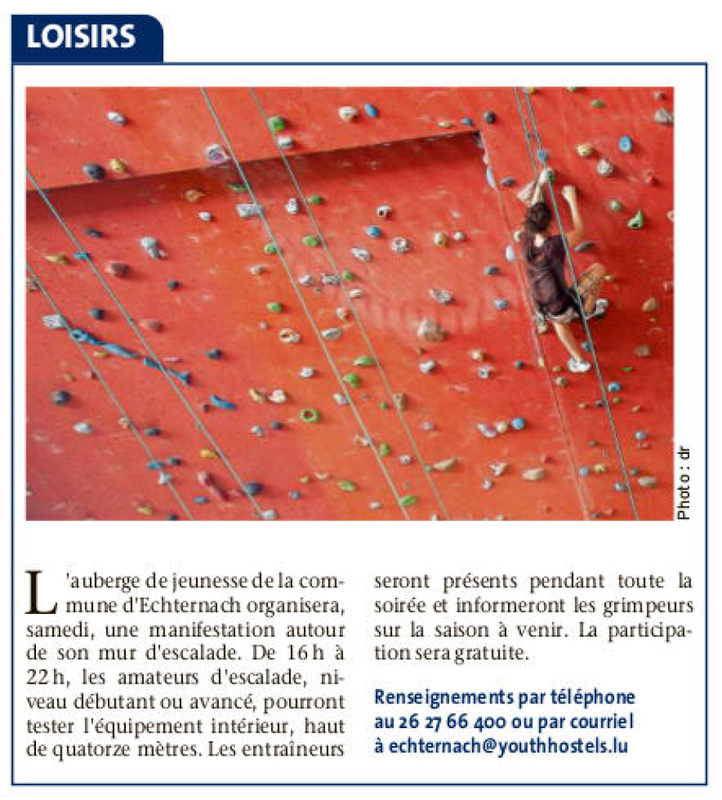 On September 19th, 2015, the youth hostel in Echternach celebrated an open day. 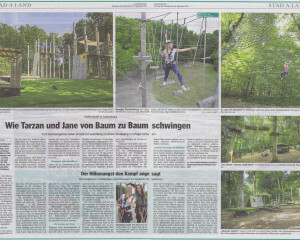 From 4-10pm onwards, the hostel's staff stood at guests' disposal during the 'nightclimbing' event at the in-house climbing wall. 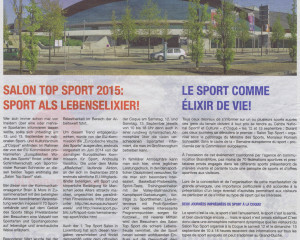 The french language newspaper LeQuotidien published a corresponding advertisement. 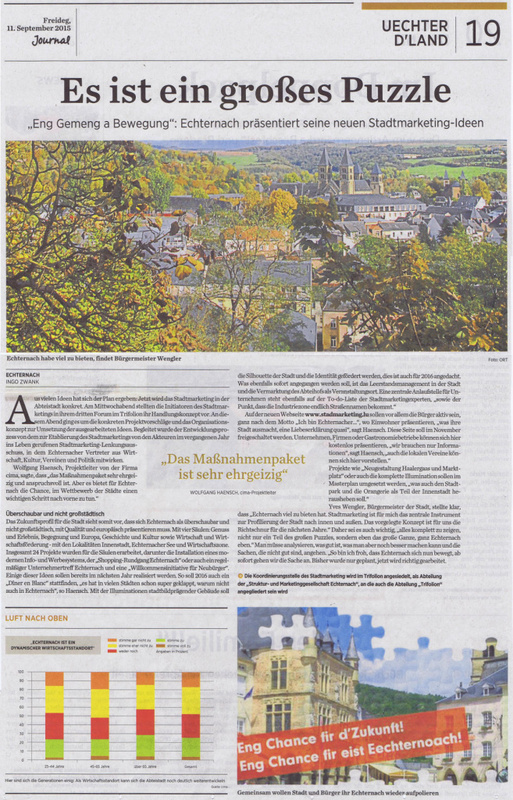 With the three sites centre, Echternach lake and economic zone, the city of Echternach has developed a new marketing strategy on how it wants to present itself. 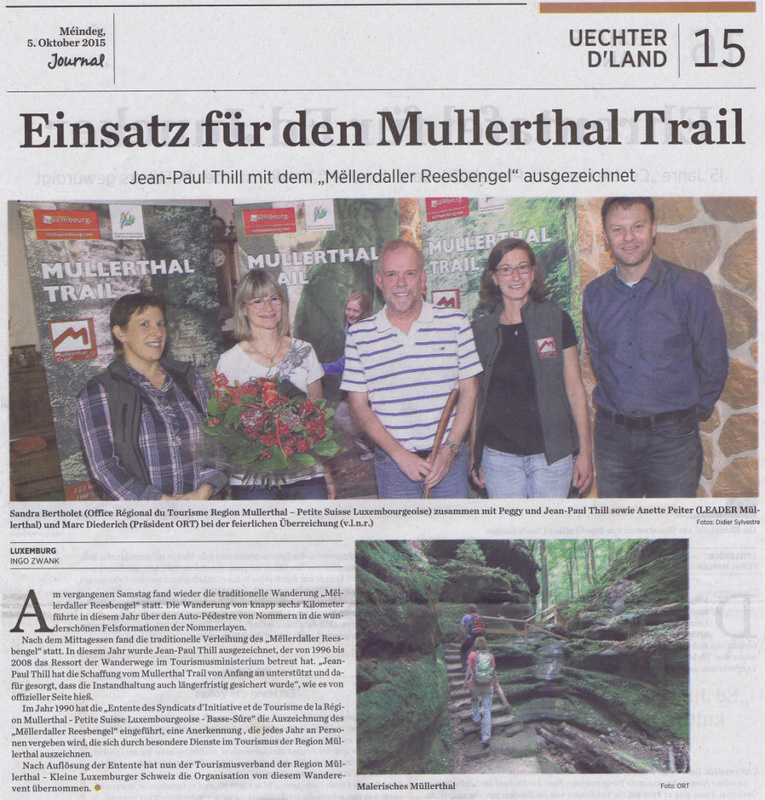 Various newspapers have published detailed articles on the matter. 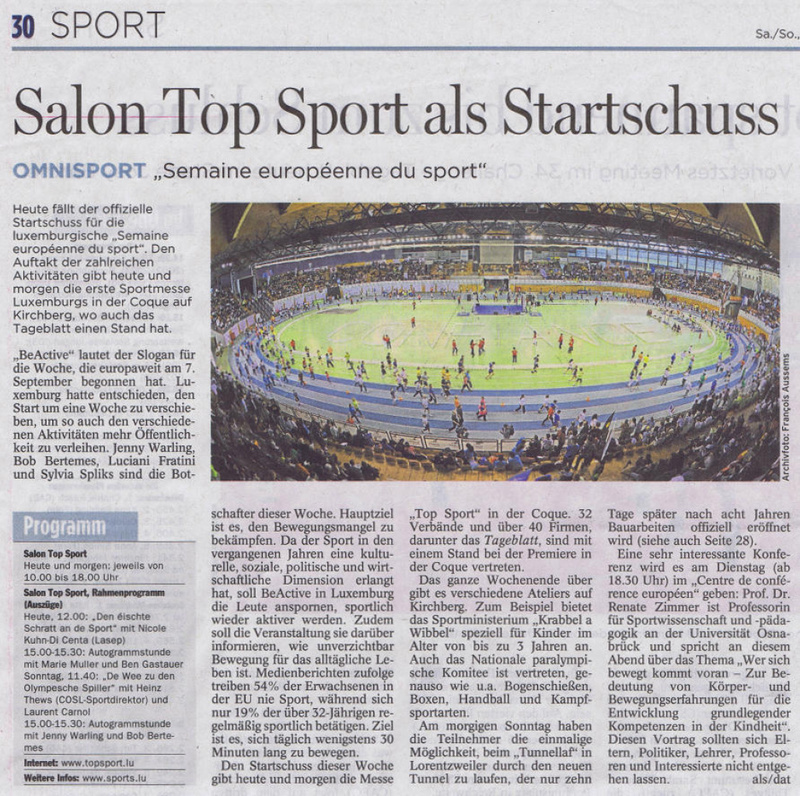 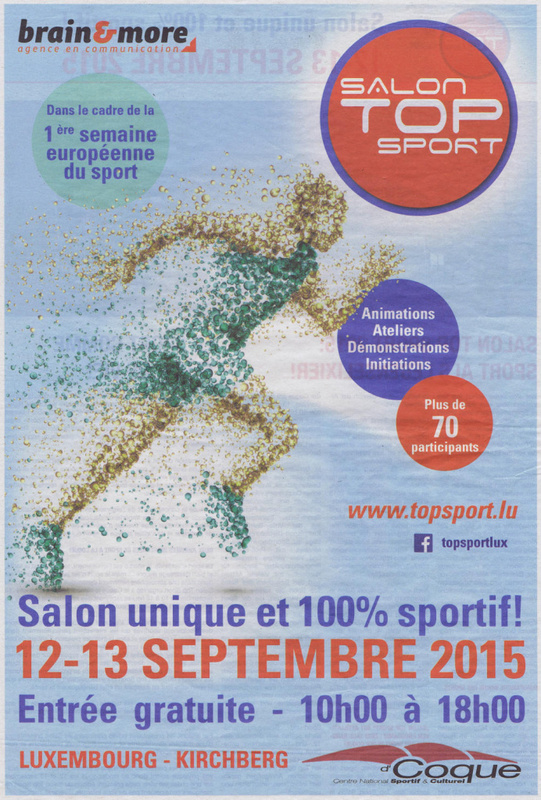 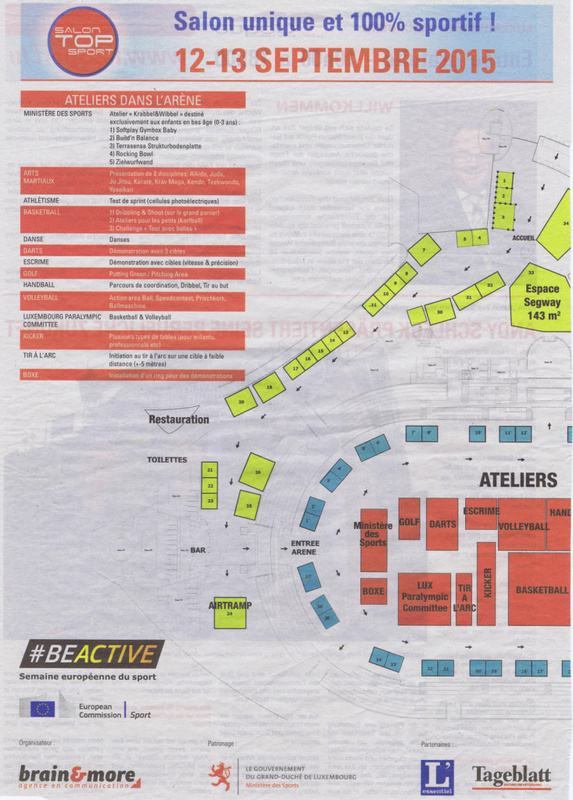 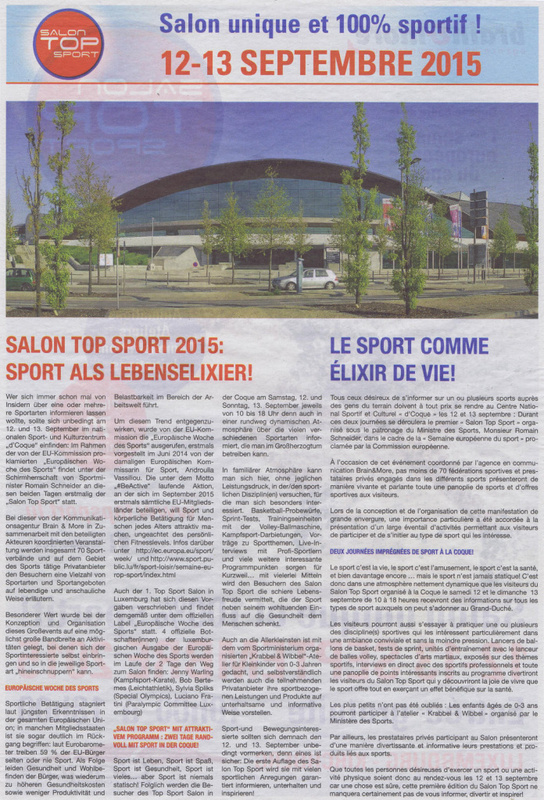 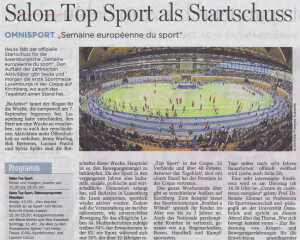 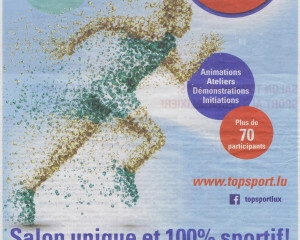 From the 12th until 13th of September, the Salon Top Sport fair will take place on Luxembourg's Kirchberg. 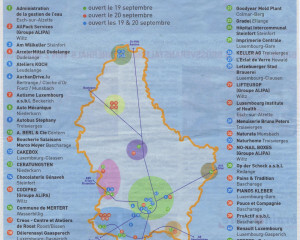 Luxembourg's youth hostel association will also be present with a stall. 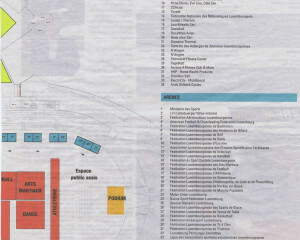 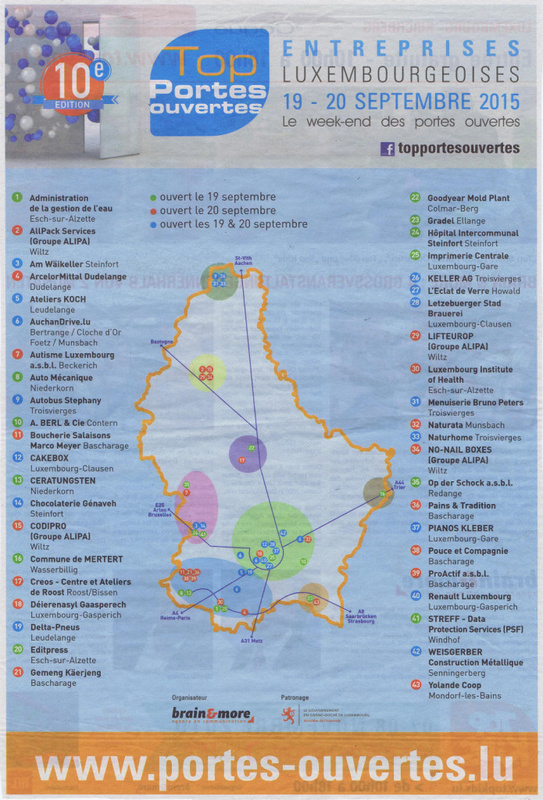 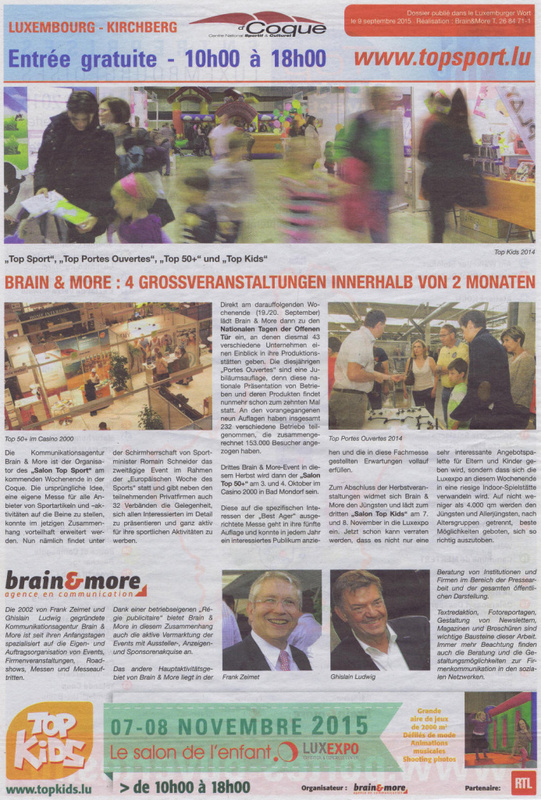 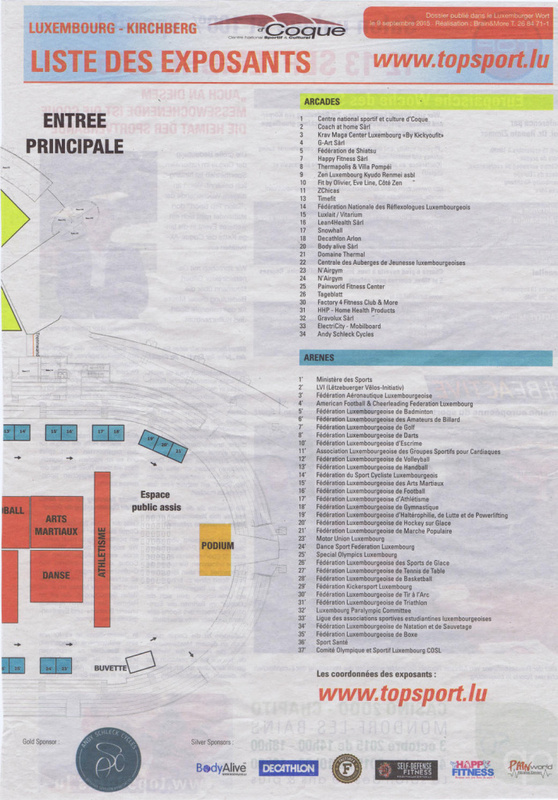 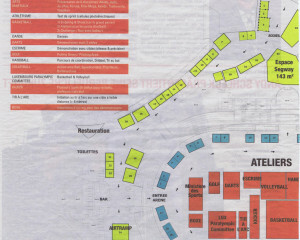 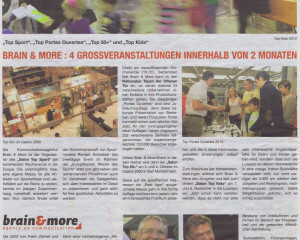 Various Luxembourgish media outlets have published corresponding articles about the fair. 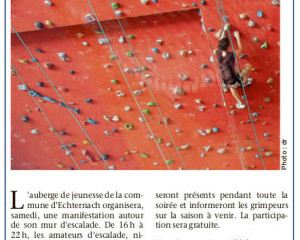 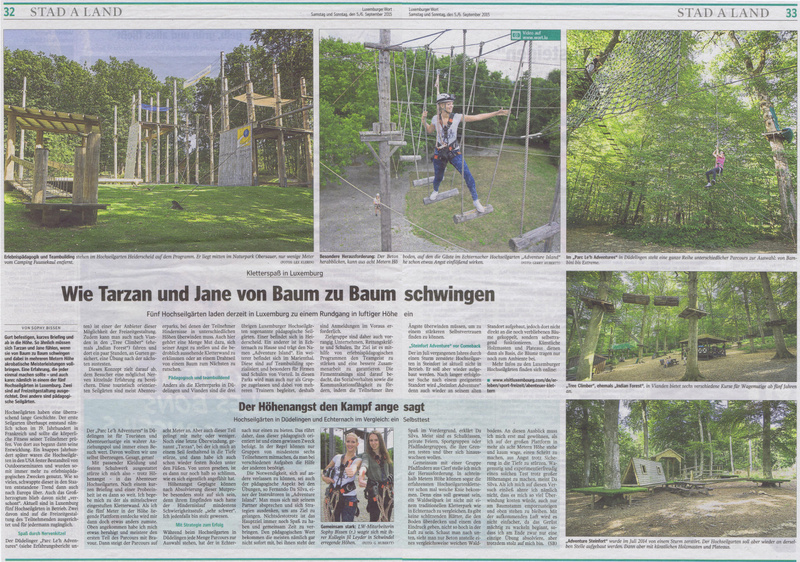 The Luxemburger Wort has published an extensive article about the various high ropes parks in Luxembourg. 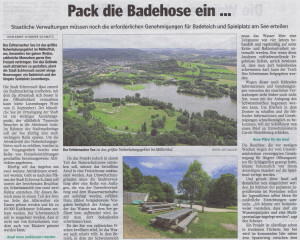 Among others, the Adventure Island of Echternach's youth hostel is also mentioned. 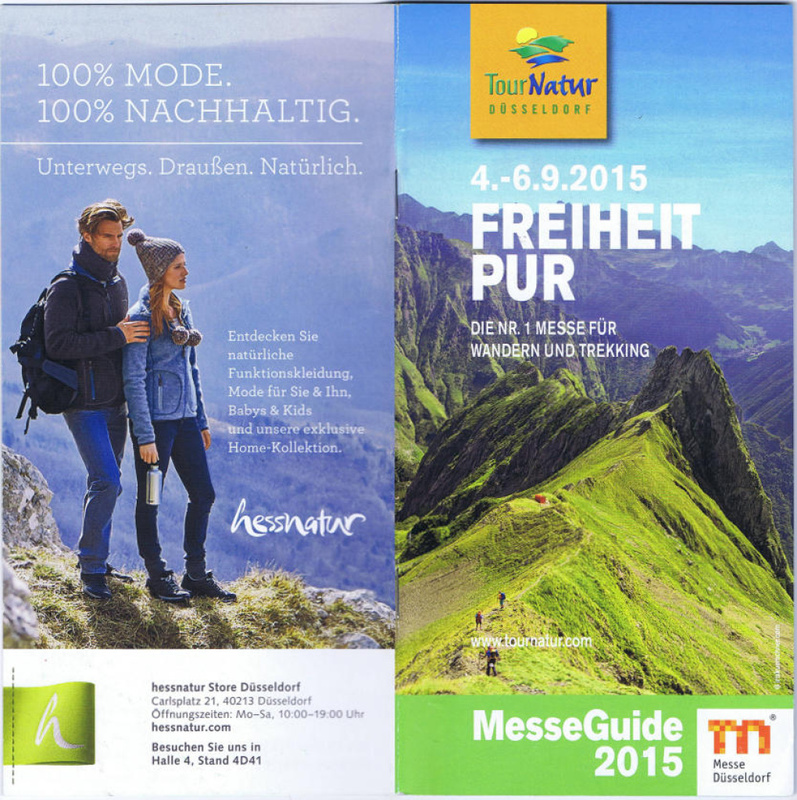 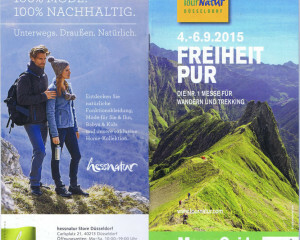 The annual TourNatur fair in Düsseldorf took place from September 4th until 6th. 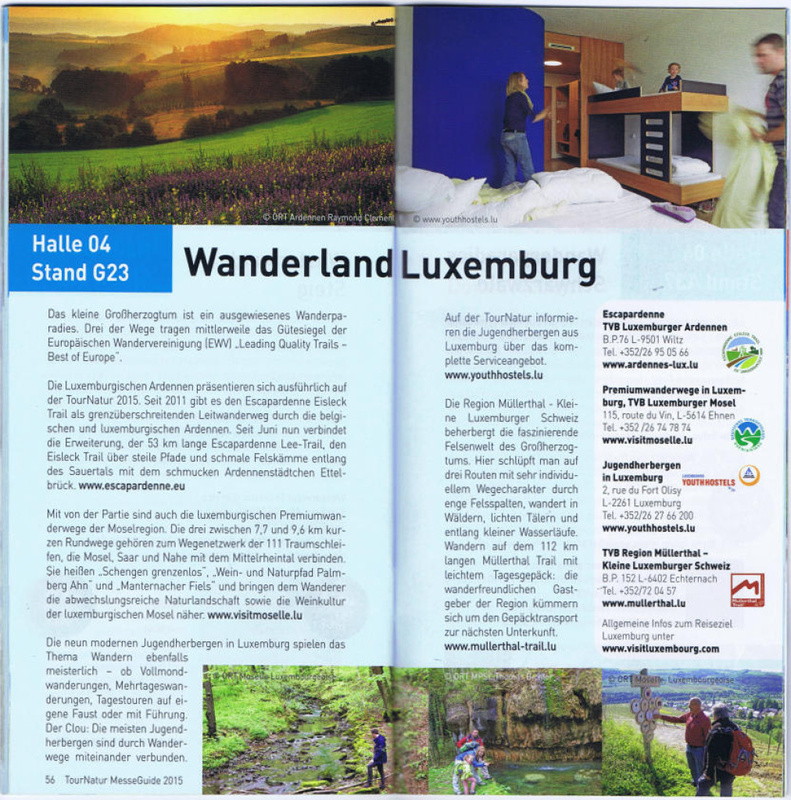 As usual, Luxembourg's youth hostels were present with their very own booth alongside the country's regional tourism federations. 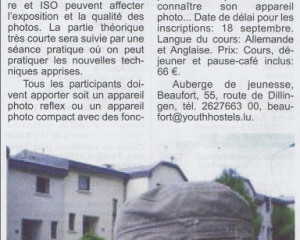 Subsequently to the first workshop for beginners, the follow-up course will take place on the 26th of September at the Youth Hostel in Beaufort. 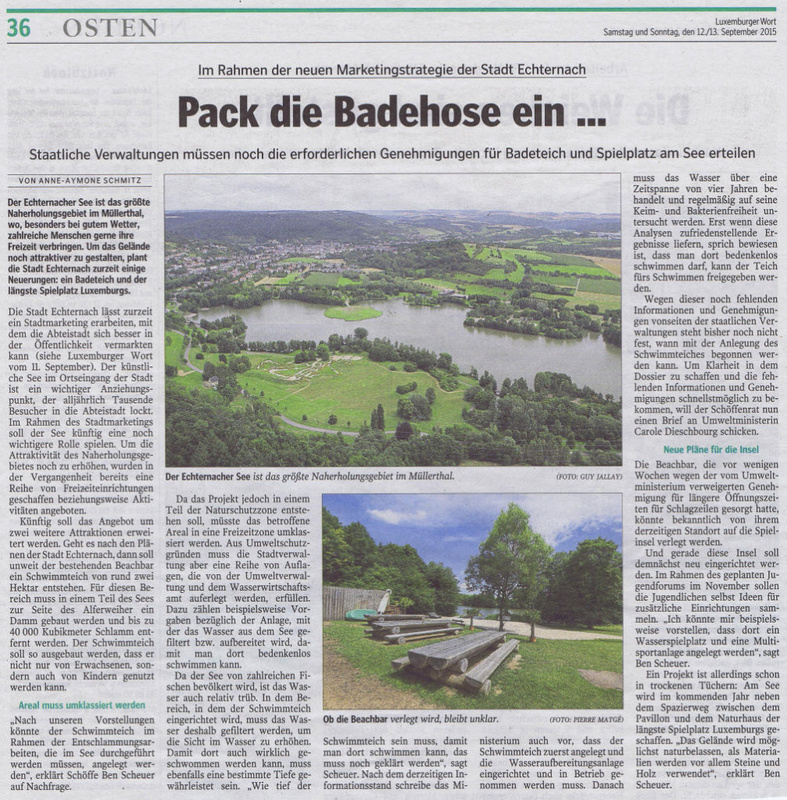 Having covered the basics in the previous course, the instructors intend to focus on the manual settings of digital cameras.